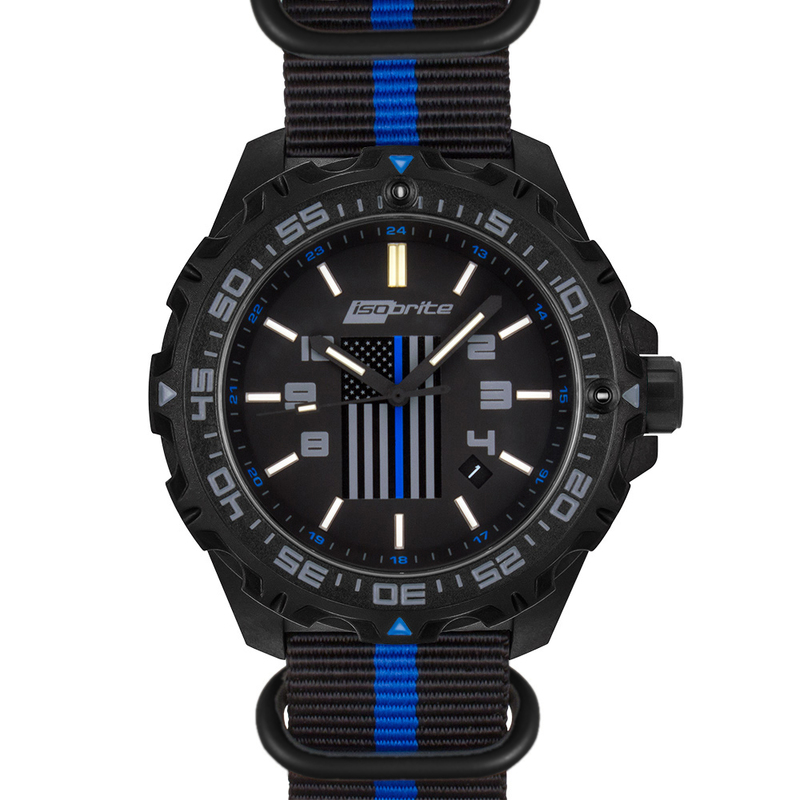 This Limited Edition watch was the result of a collaboration between our company and active-duty members of law enforcement from across the country. 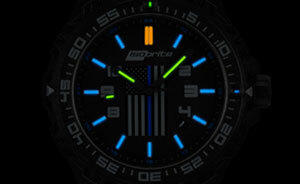 This blue and gray accented watch features ultra bright T100 tritium markers that will glow for up to 50 years. To ensure uninterrupted service, the watch is powered by a reliable Swiss Ronda 715Li movement with a 10-year lithium battery. When your adventure involves water, this watch is ready to accompany you diving down to 200 meters. 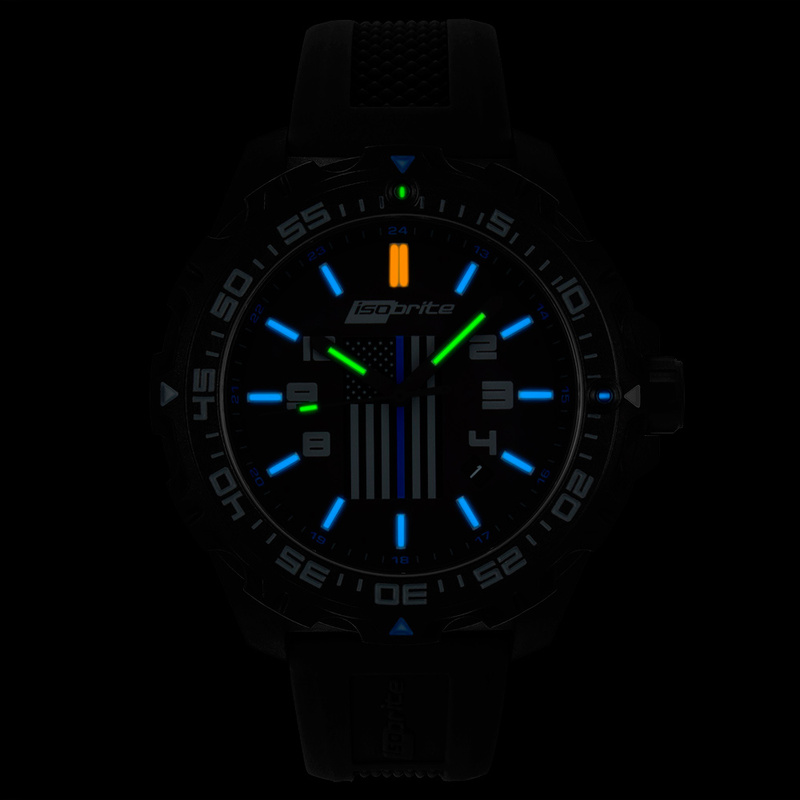 Constructed out of lightweight carbon fiber reinforced polycarbonate and scratch resistant sapphire crystal, the watch weighs in at only 3 ounces. 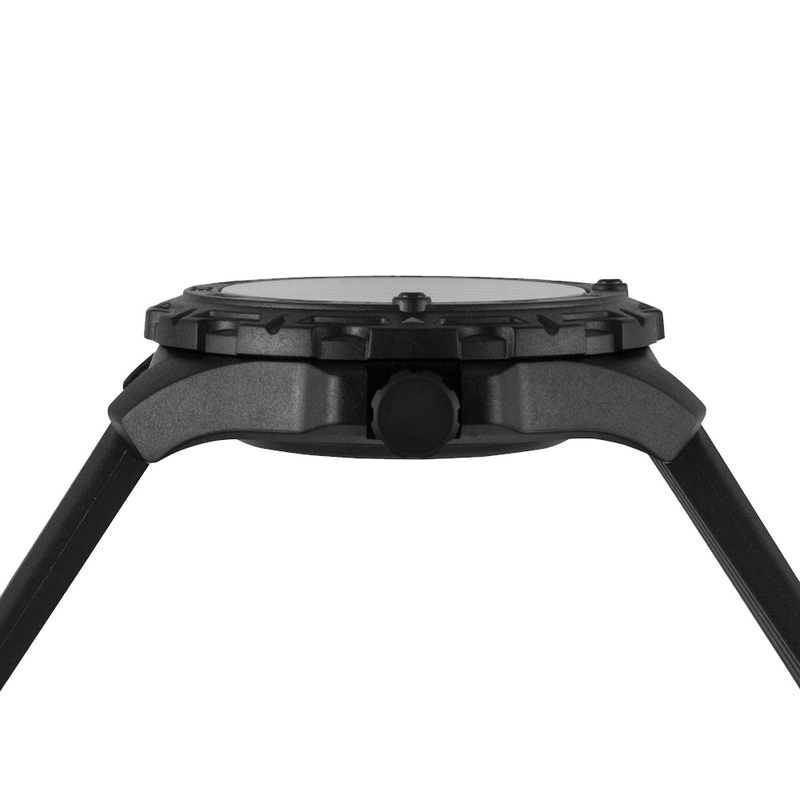 Plus, the included silicone strap provides the utmost in comfort and adaptability. 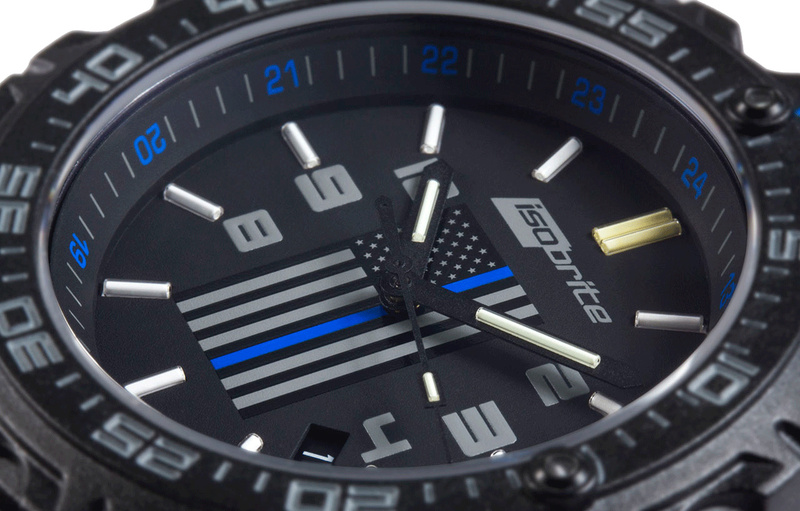 Wear this watch proudly and show your support for the police! They deserve it for all they do! Your new watch from ArmourLite Watch Company comes with a manufacturer's warranty of two (2) years. The warranty covers material and manufacturing defects existing at the time of purchase.